I was rencently inspired by a book I got out from the library (yay for the library) called "Doodle Stitching". 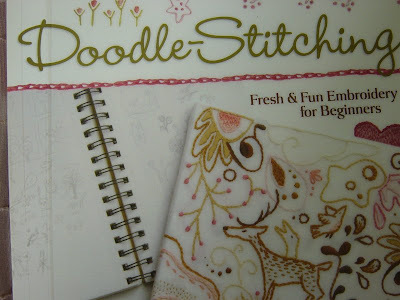 It's a really cool book on... wait for it... "fresh and fun embroidery for beginners" by Aimee Ray. Now I would never have ever thought I would get into embroidery... but I gave it a go and really enjoyed it... especially trying out the paisley design. 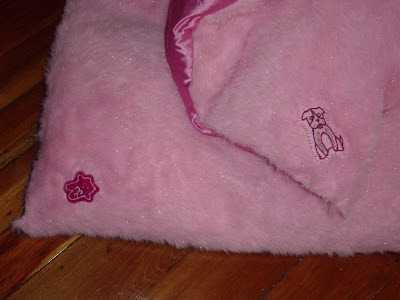 I had recently asked my darling mother to sew up some left over pink fluffy fabric into giant cushions for the girls, and decided to do a little emboidery animal on the corner so the girls didn't get their cushions mixed up. 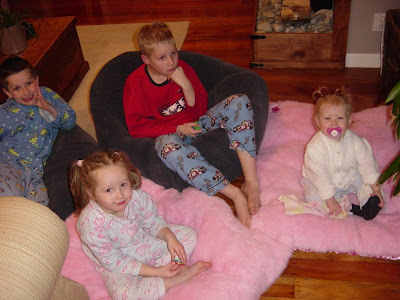 They look pretty cool and have solved our fighting dilema over the bean bags. 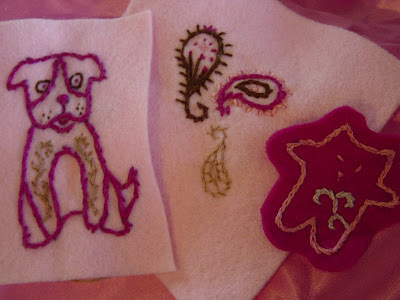 I don't really think I will get into embroidering tablecloths or socks... although I am sure Mandrake might like a little embroidered hankerchief or initials on his towels... NOT. Was fun to try though.